Our loop backed/Velcro receptive 1 sided sponge products now have their own page. Previously sharing with their non-Velcro receptive cousins, the popularity of the loop backed items has grown rapidly and they have come out of the shadows. Many of our products are for use when sanding by hand. For some applications however the use of sanding power tools reduces the sanding effort required. 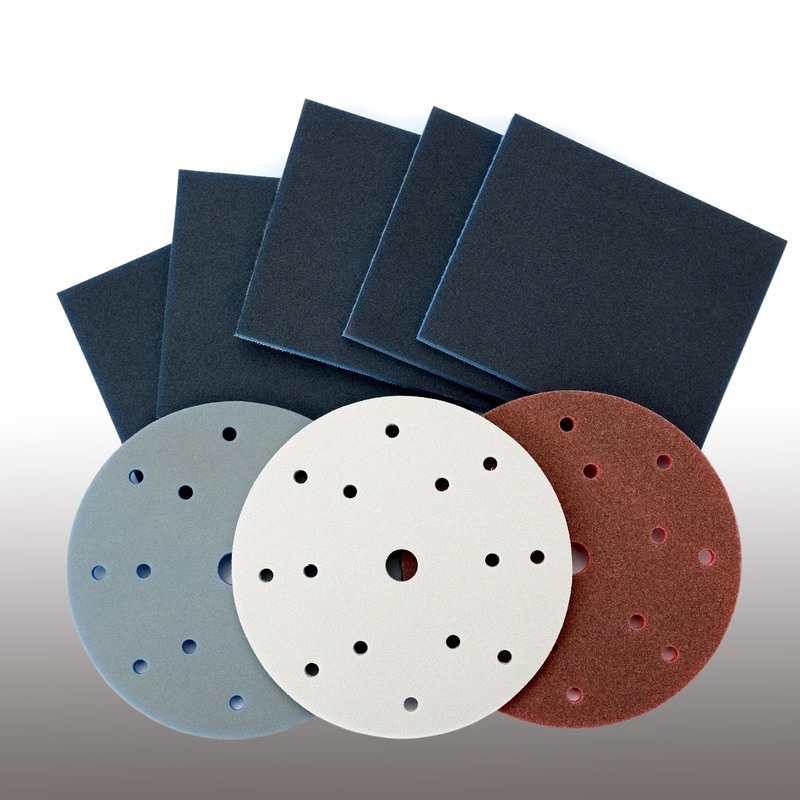 Available as discs, with or without dust extraction holes, or as rectangular pads these sanding sponges bring a new dynamic to the world or abrasive foam. Use these links to visit the product webpage for more information or download the leaflet.